Sometimes at the end of summer the remaining peppers in your garden may be no larger than a small plum. You can still make a great “un-stuffed” peppers dinner! While prepping our Earthboxes for storage we harvested the last of the year's summer crop - some small green peppers that were still on the plants but no larger than a small plum. They were too small to stuff and too many to use up before they started to get a little mushy. What to do? 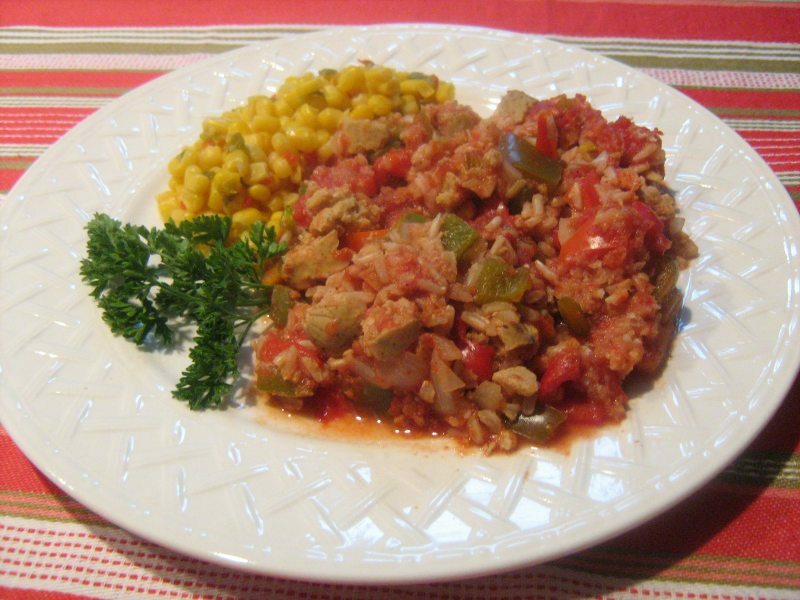 We simply turned them into a terrific casserole - an “un-stuffed” peppers casserole. So, if you like stuffed peppers you're sure to like our “Peppers Unstuffed” too! Spread ½ cup tomatoes on bottom of a 2 quart oven-safe casserole dish. Reserve another ½ cup of tomatoes to place on top of casserole. Mix all remaining ingredients in a large mixing bowl. Gently scoop into casserole dish. Pour remaining ½ cup tomatoes on top and spread over the casserole. Garnish with desired amount of Panko bread crumbs. Note: This recipe is so low-calorie and low-fat I almost wanted to add some just to make it more "believable". What a great way to enjoy summer's bounty!